The number one call reads: “Change the language of poverty: young people deserve dignity, not stigma and discrimination”. “We need you, everyone in society, to think about how you use our story. We know this is not always easy. The media want to highlight the challenges, charities need to justify the great work that they do, and funders want to know that they are reaching those in need. The full list of calls, ranging from specific policy demands to broader calls for cultural change, were unveiled at a campaign launch event and 25thanniversary celebration at the City Arts Centre in Edinburgh last night (10 October). Other calls include: Introducing a £5 top-up to child benefit; reforming the Gender Recognition Act to better support trans young people; cutting cars from school drop-offs to improve air quality; and embedding understanding of autism in initial teacher training and ongoing CPD (following the findings of a recent report by Children in Scotland, Scottish Autism and the National Autistic Society). “Our calls powerfully reflect the range of concerns amongst young people and those advocating for them in 2018, including the impact of stigma, the need for improved mental health support for children, and why we must recognise that tackling child poverty, abuse and neglect requires a collective effort. Call 3, chosen by Children in Scotland’s children and young people’s advisory group, Changing our World, calls for all children and young people to be “able to, and know how to, get support with their mental health and wellbeing when they need it, without discrimination”. It has been backed by Children 1stand Denise Coia, Chair of the Scottish Government’s Taskforce on Children’s and Young People’s Mental Health, who emphasise the importance of prevention in ensuring children and young people have the best standard of mental wellbeing. Contributions to the campaign encompass experts across civil society, members and Children in Scotland partners, and the charity’s staff. 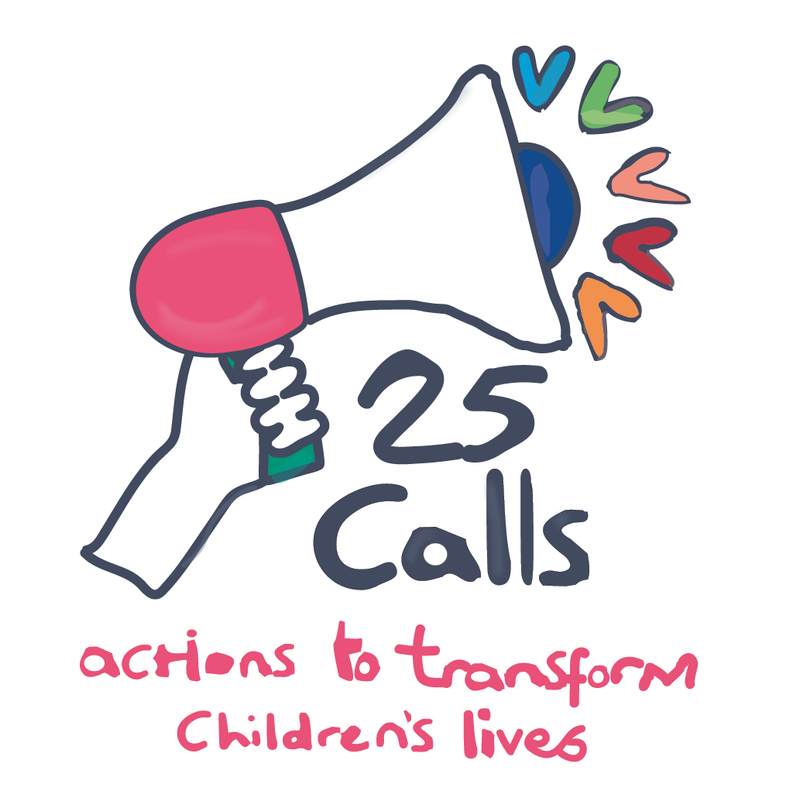 Articles by the contributors outlining each of the 25 Calls have been published in a special edition of the Children in Scotland Magazine, available from today, and will be shared on Children in Scotland’s website and social media channels over the next month. Photographs of Divine and Somer from the GK Experience, who made our number one call, are available by request. The images are free to use with this press release and related news or feature articles. Please credit Andrew O’Brien. Cut cars from school drop-offs to boost active travel and improve air quality for our children (Sustrans Scotland, the charity making it easier for people to walk and cycle). Find out more about the 25 Calls campaign here.